The other day I was leaving my usual post at Starbucks where I frequently write from when I spotted three young girls, probably 19 or 20, tops. They were dressed in typical college girl fare, cutoff shorts, sandals, t-shirts…and they were huddled together intently. It was obvious that whatever they were discussing was very important to them. As I passed by them, I overheard a little snippet of their conversation. One girl was obviously the ring leader and was talking emphatically to the other two, waving her arms in emphasis as if trying to get her point across. Her two friends nodded enthusiastically, agreeing with their leader’s dramatic proclamation. And I…well, I giggled. I couldn’t help myself. If I closed my eyes just a little and gazed at the trio through the lens of time, I could see myself ten or 15 years ago, making that same prediction to my girlfriends. It was literally like I had hopped into Doc Brown’s DeLorean and traveled back to the year 2000, when I was young and clueless and lacking in life experience and just knew that all roads led to love and marriage and Mandy with the baby carriage. The three girls looked at me sharply when they heard my accidental giggle. How dare I burst their bubble by presenting them with a new path, a different picture, a living example of THEMSELVES, a decade later, in a completely different place than where they thought they might be? I smiled apologetically at them so they would know I meant no harm. And I really didn’t. I just wanted them to know that if their prediction didn’t come true…they would survive. And even thrive. Maybe even more so than if it DID. They all looked a little confused, like they didn’t really know how to take my deviation from their life plan. Then they smiled and nodded and I went about my day. Who knows if what I said sunk in, or if they just viewed me as the poor desperate exception to the rule…the girl who somehow fell through the cracks of marriage and now wanted to rain on everyone else’s “Happily Ever After” parade. That wasn’t my intent or my heart at all. Actually, quite the opposite. I honestly viewed the girls as younger, more naïve and innocent versions of myself…and it made me long to hug my fragile 20 year old self and tell her that her life wasn’t going to turn out the way the majority of her high school friend’s lives did…but that she still has a beautiful, magical, wonderfully messy and miraculous journey ahead of her. And that’s true for all of us. We paint an idea of what our lives are going to look like and are “supposed” to look like in our minds, and the reality very rarely matches up with the fantasy. You lose the job. You lose the love. You get sidetracked. You get discouraged. You get blindsided by bad news. You get beat up by life. You lose your way and you lose your career and you lose your faith. And you wonder if you’ll ever get your Happy Ending or if you’re destined to wander this planet alone. But what you can’t see at the time is this. You lose the job because it wasn’t your destination, but merely a stop along the way. God KNOWS that you were never meant for a cubicle even though you don’t yet realize it. You lose the love because to cling to it would hold you back from everything else you’re meant to experience. Your arms are now free to grab onto LIFE. You get “sidetracked” because God knows the only way to get you off the stubborn path you’re on is to allow you to run smack dab into a detour. You get discouraged because you’re human, and fallible, and sometimes you need the “down” moments to rest, regroup, and prepare for the “up” moments. You get blindsided by bad news and beat up by life because this IS life and bad things happen…but the beautiful flip side of your present struggle is that it prepares you for your future success. You lose everything you think is so vital to your very existence because God longs for you to not just see, but to truly GRASP, that all you really need in this life is HIM. You wander the planet alone for a longer time than you would have liked because you have a destiny that’s so special, and so important, and so far beyond anything you could have ever imagined for yourself, a relationship before its time would only distract you from fulfilling it. And somewhere along the way, amidst all the loss and tears and triumph and tragedy and joy and pain and laughter and transformation and restoration and lessons and love and LIFE…you realize that the true meaning of it all isn’t to settle for merely a Happy Ending…but to hold out for a Happy Everything. If you’re ready to write your own rules AND your own fairytale…my new book. The Single Woman: Life, Love, & a Dash of Sass is for YOU! Available at all bookstores or order it here! Would you have said anything to the girls at the coffee shop? What would you say to your younger self? Comment below! Hi Mandy I would just like to say how much of a blessing that I was able to stumble upon your website…i couldn’t even remember how i got here (and to think i’ve only been reading through your site for a couple of hours or so). i see this as a wonderful blessing…i’m going through tough times and a hugely damaged heart at that but somehow everything you’re saying make sense and though i’ve been crying all throughout your blogs i feel some sense of relief and joy. thank you. i hope you continue to inspire. I just saw your book yesterday as I was enjoying some time walking around a bookstore and randomly came across it on the shelf. For a good hour and a bit I skimmed and read through it. So refreshing. And now reading this entry I am glad you stopped and said what you did to those girls. I feel I would have done the same. I’m single, 33, little relationship experience and never thought I would be where I am today. I don’t regret the choices I have made. I can see the blessing and beauty from them and how God has used me because I am available. Singleness has been a struggle for me through my twenties but especially into my 30s. Reading your thoughts and knowing they are coming from a fellow sister in her 30s is refreshing. Keep on using your gift to encourage other women to choose to be happy and not let their status define who they are! I’m 47 and this so applies to where I am in my life now. My happy ever after was not at all this. Single, no kids, dead end job. Although I have had wonderul opportunities in my life to travel, be in the company of some good men as well as bad, each one has taught me the lessons I needed to carry me through thus far. I sometimes get bogged down by the loneliness and have my pity party, and tomorrow I will be fine (i suppose)… but I am happy when i come across these morsels of hope and encourgament, knowing I’m not alone in what I feel. I wish you well on your journey. Really amazing how life can turn out…and for our good!I wasn’t the type to think I’d get married early but as time went by and friends,especially the younger ones started getting married and my parents started asking me about it,I started to feel pressured…looking for love in all the wrong places.At some point I started to believethe lie of the devil that there was something wrong with me.I’m 28 now and all that is gone.if I met my 22 year old self,I’d tell her to relax.the whole idea of marriage was God’s idea not mine and it means more to Him than to me so when the time’s right,He’ll bring the perfect man into my life.Ruth never prayed for a husband or fretted about getting married.she just focused on her life,taking care of her mother-in-law and serving God and look what happened.now that’s what I want.so I decided nothing was going to take me off course.plus I’m better alone than in the wrong marriage! Thank you for writing this book. I bought it just moments ago online, and I can’t wait to start reading. Just reading the above blog post as well as it’s comments has already given me so much comfort. I’m 29, never had a serious relationship and I am only now trying to come to the realization that just because me life lacks a partner doesnt mean it lacks meaning. It’s a work in progress, and I hope that I can gain even just a little bit of peace through your words. I would have giggled, too. But I doubt I would have said anything. A few days ago my fb status went something like this, “I’d like to go back in time and punch my 22 y/o self in the face! !” Nothing about my life is what I expected it to be. Happiness is in Your relationship with God and the experiences he brings into your life. Those experiences may include tall dark ad handsome and they may not. 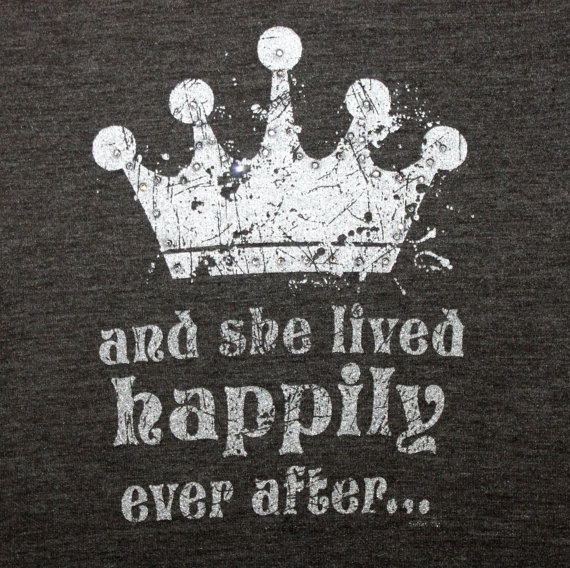 She has found “happily ever after” by being happy now in God’s hands. A few weeks ago god gave me a wake up call, my bf walked away from our relationship a day after plans to go canada to study interior desinging failed. I just got mad at god and withdrew myself fron everyone. Ironically im 21 and felt like im just goin grow old as a bum with 7 cats. I remember verses from matthew 6 about earthly and heavenly treasures and many are the plans of men but it is the will of god that prevails and thats what i would have told those girls. Im ok now loving god and trusting my wants and desires to him who is author and perfector of my faith. God bless you to continue ministering to us women. thank u zoo much 4 this! we are all so grateful!! Thank you so much for the beautiful inspiring message. I love how there are woman out here who believe that LIFE is not just about getting married and having kids, society has made it a norm that when you reach a certain age without marriage you are seen as an outlier. This misleads what LIFE is all about, I wouldn’t have add extra words to what you have said to the girls and I concur that there is so much to LIFE. Your happiness should come first ladies. Wow! I must really get your booked I’m all the way in South Africa and I got inspired this morning thank you. I am in tears, I truly needed to read this. I will be 33 in a couple of weeks and I have been so down about all of my setbacks and heartache. Thank you for the encouragement to accept and be happy with what I have achieved and accomplished. So true! I’m 41 & never been married & I’m ok with it. Yes, I do have a son, but he wasn’t planned. (When are they ever?). I’m learning just know how to be happy with me & not needing to be mom, or someone’s gf. I’m learning my worth & it’s a hard road, but I like my me time. I wish more girls would get to know themselves before they plunge into relationships. I just found your blog and FB and got the discounted kindle books – I can’t believe I’ve never heard you. You are preaching the story of my life – just turned 40 , never married, no kids. I didn’t expect this when I was 20 – have gone back to school to finally get my degree and looking how to get out of my dead end job which is draining the life out if me! Keep on speaking and being supportive! Just today I was talking to one of my best friends about how upsetting it is to be almost 30 and nowhere near settling down with Mr. Right. My friend told me not to compare my life to others but I simply explained it wasn’t others I was comparing myself to, it was the idea I planted in my head so many years ago of where I should be (or what I should have accomplished) by the age of 30. So thank you. Thank you for this all too perfect post which helped me see that it is ok that my path is different than the one my younger self thought I would be on and that the path I’m actually on is more fitting for me than I could have ever imagined. Wow that is so me! At 16 I thought I would be married with babies by the time I was 26. I’m now 30. My younger sister just got married on the weekend and truth be told.. I’m jealous as hell! My happily ever after is slow coming.. Very slow. I’m in Australia so thank you for the updates on Facebook that I follow and for reminding me that Prince Charming will come in time. I’m 30 very soon. Newly single after a relationship lasting almost 11 years. Likewise, I’m seeing marriages happening everywhere. Thankfully, marriage and children have never been a major driver for me. Well children aren’t at least. I did think I’d be married. I am thinking of escaping to Australia to be with the Koalas!!! So if you want a friend in Australia..! I don’t really know because here I am 32 years old & all my friends are married &/or engaged & here I am thinking why not me…I’ve been in a relationship for 16 yrs with my significant other,we have 4 children, and often get the feeling I’m just not good enough for him. Thank you for this message I enjoyed reading it, it was a pleasure. I have just reached a place in my life (within the past 2 months) where I am FINALLY not searching for the one! In fact, I am not dating at all right now. I want to know what it feels like to be single and free to sink myself into the things of Christ without having to compromise my relationship with God for my relationship with “him”. I would tell my younger self not to be in such a hurry to grow up and become someone’s wife. Instead, take time to become who God designed you to be and if marriage is in God’s plan for you, it will happen…in God’s time. Until then, enjoy the rich life He has blessed you with. I have been reading your posts on Facebook and your blogs and I am so excited about reading your book! Although your article didn’t apply entirely to me…I loved it and hope my daughter will live her life by finding “happy everything”. I married young and right after graduating college. My daughter and I had found the man that made our lives whole and loved us unconditionally! He was my happily ever after and continues to be my knight in shining armor; anytime I need him. But your article made me realize that what I had dreamed as a young girl and planned as my happily ever after wasn’t what GOD had planned. I tend to think of the song ” Unanswered Prayers” and how my vision for my life changed when James came into my life. I hope my daughter learns this lesson early on and learns to enjoy life instead of searching for things that may never happen. Hey Mandy! I found this site randomly and I think its great what you do. Its great to know I’m not alone in the world. Recently found my sister is marrying her dumbass boyfriend. She lives overseas with him and it made me feel like I was losing her for good. And then I kinda lost my job…. I’m 20 and never had a boyfriend or came remotely close to it. I cant even talk to guys lol. Which is ironic since im a sucker for anything romantic. But I recently realised its okay. I dont need a guy when I have God. Maybe if it’s mrsnt to be I’ll meet someone. But I’m not gonna pressure myself. Cheers! I thought by now I would bemarried to mychildhood sweetheart and have 2 kidsbut it good work out that wayI still thank about him and wonder if Hill show up at my door one dayI don’t think that will happen but I still hope and wond. r no one else has been that interested in me which makes it worse! I wonder sometimes what’s wrong with me?guys just tease me a little and then nothing or joke about it Let’s Get Married and laugh as theyre saying it, so I try to get through I think about it most when I’m alone I try not to. your blog and Facebook has helped I even have a page my own to help other lonely singles I hope one day I will have my happily ever after. How true is this, I too thought I would have the fairytale ending, married at 21, two kids by 27, but life had other plans for me and I was divorced at 33. Although some times were hard, I wouldn’t change anything, for each step taught me something new and I also realised it’s better to be single and happy than with someone and unhappy. I am now 61 and am living my happy everything, made it all on my own, retired, and loving each day. I am recently married at 34. I thought that I was going to get married and have babies young. My life has not worked out that way. I look it as a journey and each man a lesson. It just took me a little longer to find my path. I decided that I was going to take care of me. Be the best me. No man completes me. My husband is my partner, my complement. know how to cook, clean, do repairs on the house I bought, and take apart a car. I have an 18 year old step daughter and I try toteach her this lesson. I feel like my life was difficult only because of the choices I made. WOW Manndy! I too just bumped into your Blog, but Im glad I did because I am turning 27 and Im a single mother of a 8 year old boy. I have just experienced a devastating breakup (not with babydaddy) and everyday im healing through prayers and support from family. I do feel Im so ready to get married, all my friends are married and some engaged. However I have learned to use this time (in my waiting) to enhance my relationship with God and serve Him whilst I dont have hectic “Wifely” duties. I want to sing His praises, draw men unto Him through worship, proclaim Him, thereafter will I be truly fulfilled. And i know my God has my husband somewhere for me and when the time is right we will find each other. Thank you So much, you’re an inspiration! God Bless you!!! Thanks so much for sharing this! It is EXACTLY where I am at 30. I wish I could go back to my younger self and let her know that things will shift, dreams will change, people will come and go, but with God you will survive. Things will not look like what you expected, but just keep going!!! I am my younger self and she is learning to trust God in everything. That was me toward the end of my high school years, the picket fence, a house, children and a husband to take care of us. WRONG. I actually have to thank my ex, with whom I’m still on friendly terms, for giving me positive reinforcement to go back to school and get my bachelor’s degree. If we had married, who knows………. I know things worked out in my favor. I have to say reading this post was just what I needed, I’m 32 and I was just talking to my boss about my lack of happiness because my life hasn’t turned out how the 18yr old me had dreamed of, but reading makes me feel better that one I’m not alone and two that it’s okay. Because life doesn’t come with a manual, nor will anything in our lives go as planned. So reading this and talking about it is really helping me to realize that I’m doing and going to be just fine. Thank you so much for this article. Life is not a script to be followed. Just because society would like to see it that way does not make society’s view point the ultimate destination in life. As a person I realised life is a really harsh teacher. She gives you the exam first and teaches you the lesson later. Stop following the crowd, you’re unique and it’s your life not anyone else’s. I think its so important to share my story to inspire single women. I am an attractive and successful almost 31 year old who just can’t seem to find Mr. Right. Yes it has brought me down but what I have realized recently is that my most happiest of times were never when I was someone’s girlfriend its when I was doing what I loved, taking chances, spending time with people I live, learning about myself and helping others. Men are a detail and when u live and enjoy yourself is when you’ll probably attract the right one. If not, then at least you’re enjoying life and that is what we deserve. Screw society. What an encouraging article. In life we often give ourselves steps to achieve that ultimately determines our success. We say once I complete this then I will be successful, once I have this then I will be happy. But oh, how different our plan is compared to the one God has for us. Even when God gives us an answered prayer, sometimes it’s to show us that the grass is NOT greener on the other side. As a result of that, one can step back and really look at the amazing grace that our Heavenly Father grants us. I like to look at being single as God’s way of telling me “I want more time with you,” and who doesn’t want more time with the Most High King. What an honor.